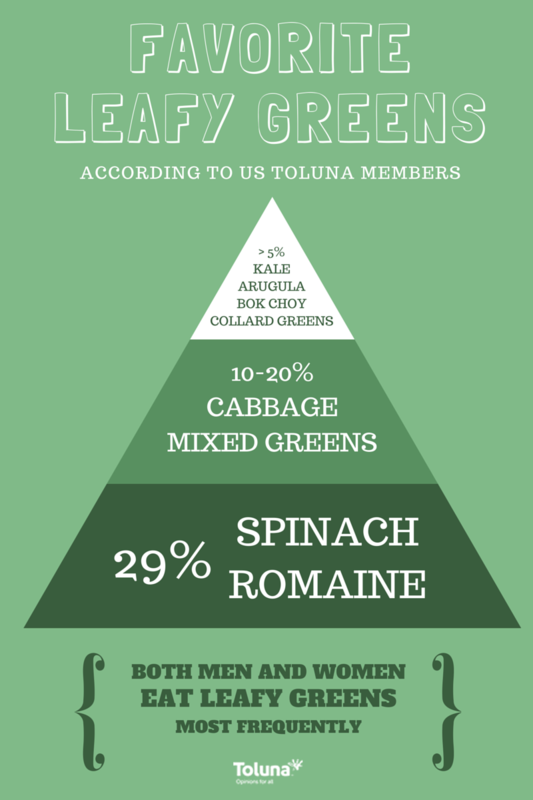 A few weeks ago, we asked 2000 US members via Toluna QuickSurveys about their habits and preferences for green vegetables. For the most part, the survey showed that members most frequently eat green leafy vegetables like lettuce, cabbage, spinach, kale and collard greens. 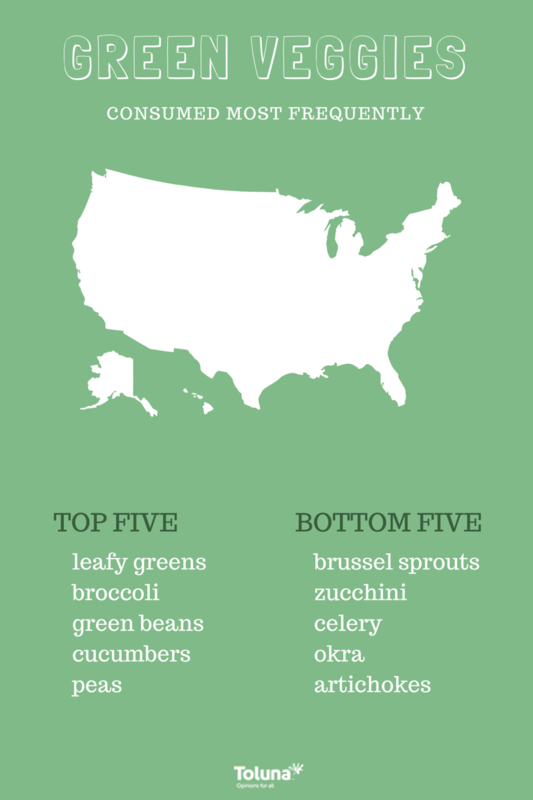 In terms of leafy greens, romaine and spinach ranked highest with not too many fans of bok choy and arugula. The numbers stood similar for both men and women, as well as per region. Perhaps you were inspired by today’s infographic. Login to Toluna today to create your own poll and gather your friend’s opinions!